The Entertainment Software Association has announced E3 Live - a new open to the public event that will let gamers play some of the same games being shown on the show floor. The Electronic Entertainment Expo, or E3 as it's known, has always been an industry-only event. Unlike conventions like PAX, there are very few ways for a gamer who doesn't work in the industry to attend. But this year, the Entertainment Software Association is holding a brand new event that will be open to the public at E3. 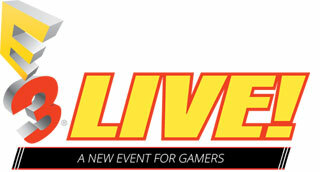 That event is named E3 Live (not to be confused with EA Live). E3 Live will be a separate event held at LA Live, just down the street from the LA Convention Center. It will begin the evening of Tuesday, June 14, and will run through Thursday, June 16. ESA President and CEO Mike Gallagher described the event, saying that it will, "give consumers the opportunity to play the latest games, interact with industry personalities, buy the most sought-after collectibles, and engage other gamers in their favorite games." If you want to attend, you have to be at least 17, and you need to register for tickets. They're free, and will be distributed on a first-come, first-served basis. Anyone who attends will also get tickets to see "Pokemon: Symphonic Evolutions," which features a live orchestra playing the music from the iconic Nintendo series. It's not surprising to see E3 reaching out to gamers, especially in light of EA pulling out of the show. It signals that they might be looking to shake up perception of the event, or just try to entice companies that might be thinking about leaving to participate in a slightly different way. Either way, it's not like E3 is going away anytime soon. If you want to attend E3 Live, you can register at this link. You can get more information about the event over at the official E3 Live site.